Bless Karen Corieri for her patience. Not only was she busily tending to a lunchtime lineup of hungry customers at The Original Georgio’s Authentic Greek food truck on Pensacola's Mirella Street, but in between dishing up tzatziki-laden gyro sandwiches by the dozen, she took time out to share her interpretation of the Greek word “filoxenia,” which I’d heard a few times in this Florida Panhandle city. “Filoxenia, as I understand it, means a generous way of welcoming visitors, of offering up your hospitality,” said Corieri. This sense of “friendliness to strangers” peaks each fall in Pensacola – in a myriad of festivals right across the city – at the very same time the fall colours peak (and temperatures drop) in Canada. It’s the season where visitors are most apt to rub shoulders with locals. And there’s no denying it – the seasonal dip in prices make sunny Pensacola even more enticing in the autumn. One of my best outdoorsy experiences in Pensacola was an afternoon of kayaking (you’ve got to hit those pristine white beaches), followed by a mess of crab washed down with a growler of locally-brewed pale ale right on the beach. 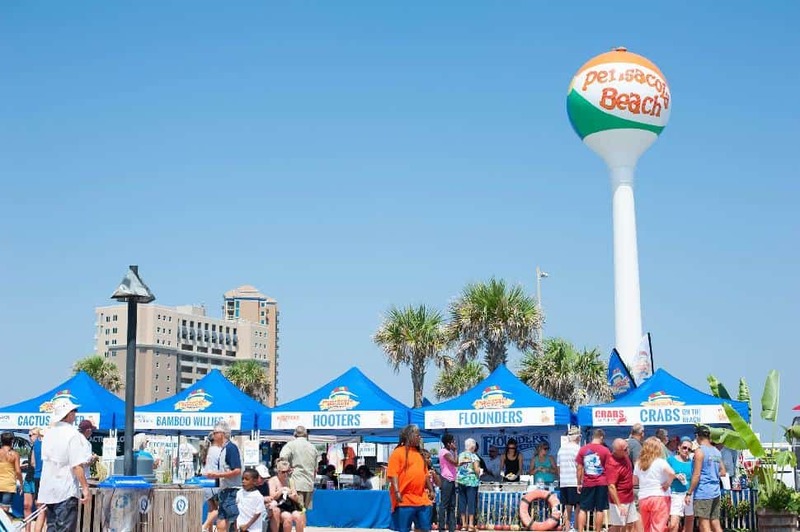 If you like that beach-grub-beer trinity, time your visit for the annual Taste of the Beach, which invites beach-goers to “sip, savour and surf.” The best part? The day-long Saturday party at Casino Beach includes $5 samplings of signature dishes from 23 beach restaurants. If eating southern fare is your thing, there are plenty of Pensacola eateries dishing up grits, ground corn porridge and ice tea. 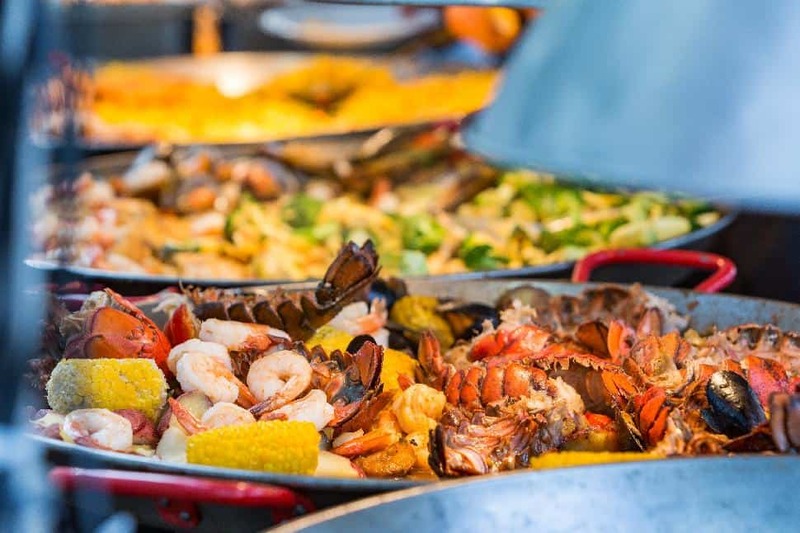 But leave room in your itinerary – and in your tummy – for Florida’s best gumbo, chowder, fresh-caught fish and shrimp at the Pensacola Seafood Festival in Olde Seville Square. Speaking of Greek fare, fall is when the Greek Festival of Pensacola takes over the sprawling Annunciation Greek Orthodox Church on West Garden Street. 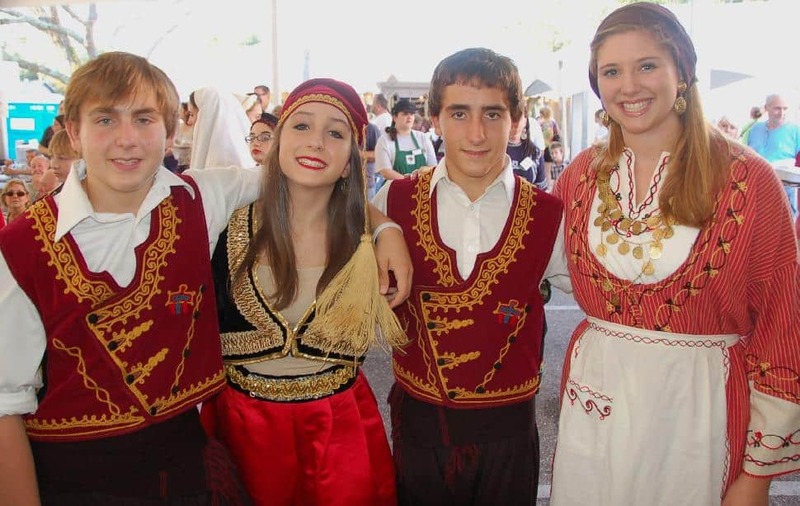 It's three full days of food, dance, church tours, storytelling and bands, which, in true Greek-style play until dawn. The festival draws up to 30,000 revellers each year (Pensacola’s population is 54,000). 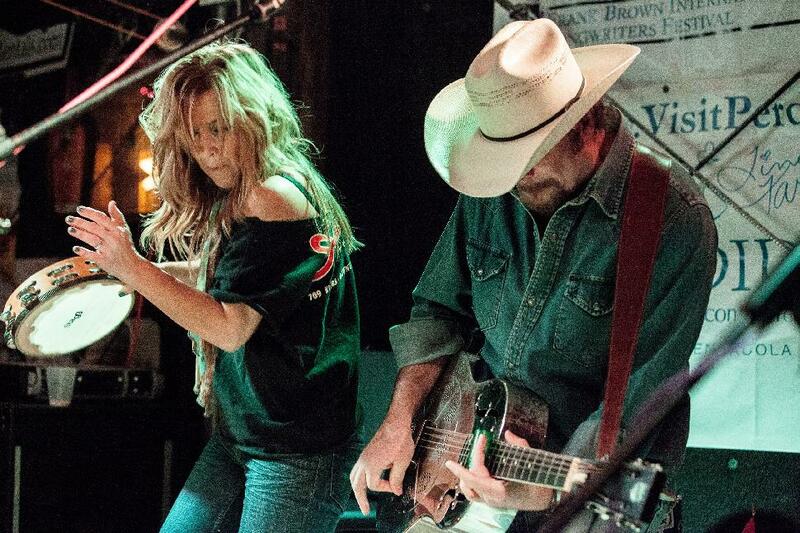 For 12 days in early November, the Foo Foo Festival runs a roster of events as fun as its name. The Festival celebrates food, music, and the arts. Festival-goers will no doubt be enchanted by a number of outdoor art installations. First, stroll down Intendencia Street where hundreds of colourful umbrellas will be whimsically suspended overhead. (If that sounds familiar, the event was inspired by the Umbrella Sky Project first exhibited in Agueda, Portugal.) Next, admire CUBED, a live painting exhibit that sees artists create unique murals on all four sides of a cube. Fans of the performing arts won’t want to miss two marquee performances: the musical highlight, Awakenings, a photochoreography performance by the Pensacola Symphony Orchestra, and María de Buenos Aires, a seductive, genre-bending Argentinean tango opera. Foodies unite on Sunday on Nov. 12 at the Blue Wahoo’s Stadium for Pensacola Eggfest. “Eggfest” to Canadian ears is something of a misnomer. Hungry attendees won’t find eggs on the proverbial menu. Rather, they’ll be greeted by an army of nearly 100 Big Green Eggs, an egg-shaped grill and smoker. Savour the flavours of Big Green Egg masters who specialize in this niche BBQ cooker. 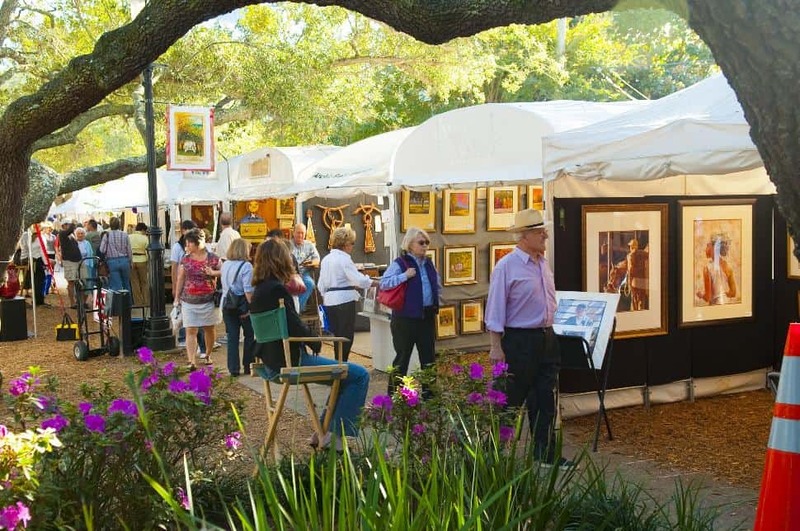 If you’re keen to bring some art home with you, swing by the Great Gulfcoast Arts Festival, where you’ll have your pick of paintings, pottery, jewellery and other works by more than 200 artists. 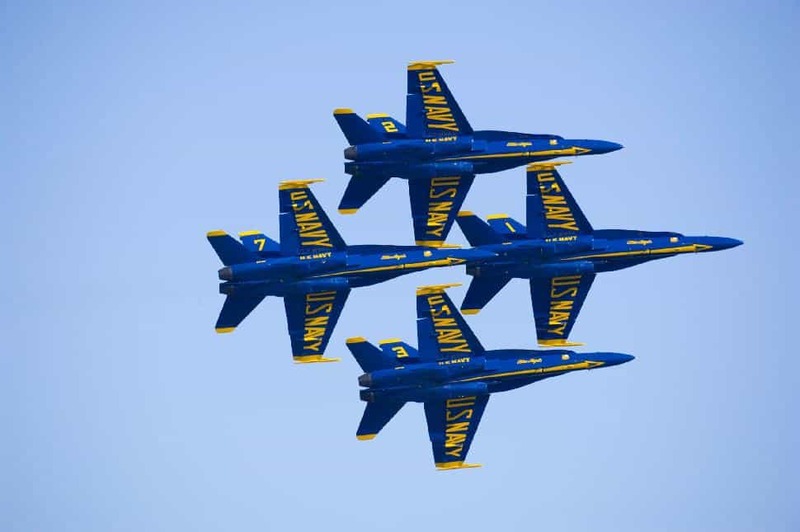 One thing I missed - but you shouldn’t – especially if fighter jets are your thing: the Blue Angels Homecoming Airshow. This year’s lineup of aircraft performances includes jaw-dropping feats by the U.S. Navy Leap Frogs parachute team. My tastes are a little more grounded so I opted to explore the five historic walks in Pensacola. The Pensacola Maritime Trail was my favourite – and the reason I missed the airshow! Never fret about getting lost while out and about on the trails. Simply stop and ask a local. After all, it's Pensacola's biggest drawing card: "friendliness to strangers." 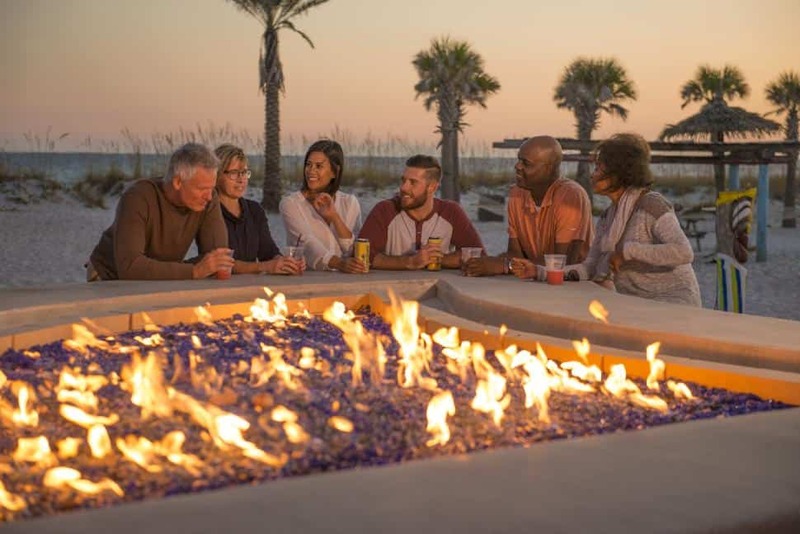 Ready to plan your Pensacola getaway? Mark your calendars! The ultimate Pensacola Christmas holiday festivities guide.